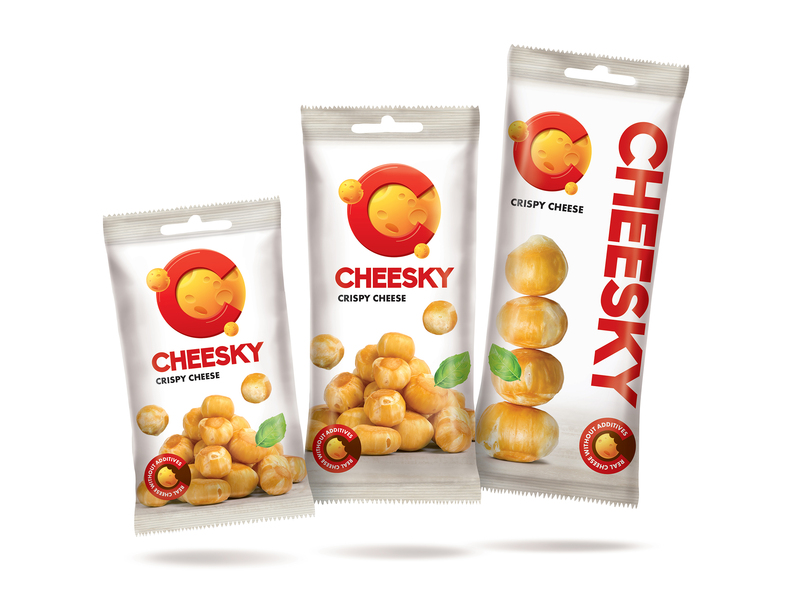 Cheesky is an ambitious brand of ball-shaped crispy cheese — an all-natural product launched by New Foods in 2016. 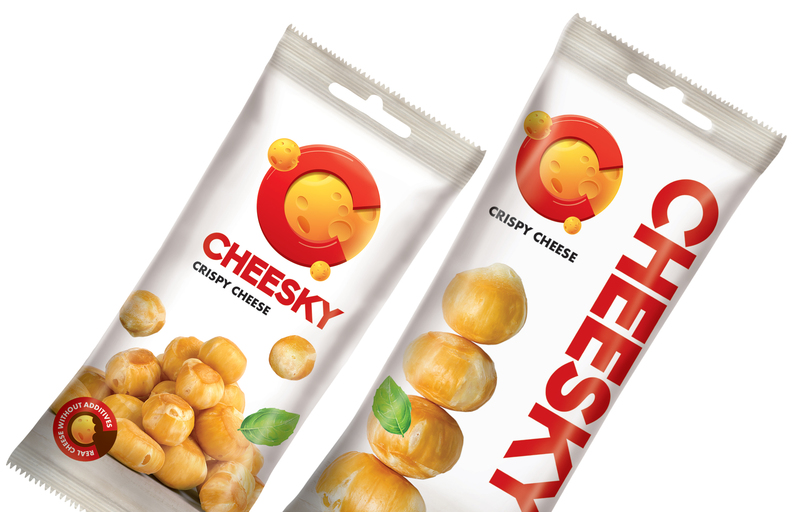 The minimalist visual concept is inspired by a simple resemblance of round shapes: the Cheese — the Moon — Cheesky. 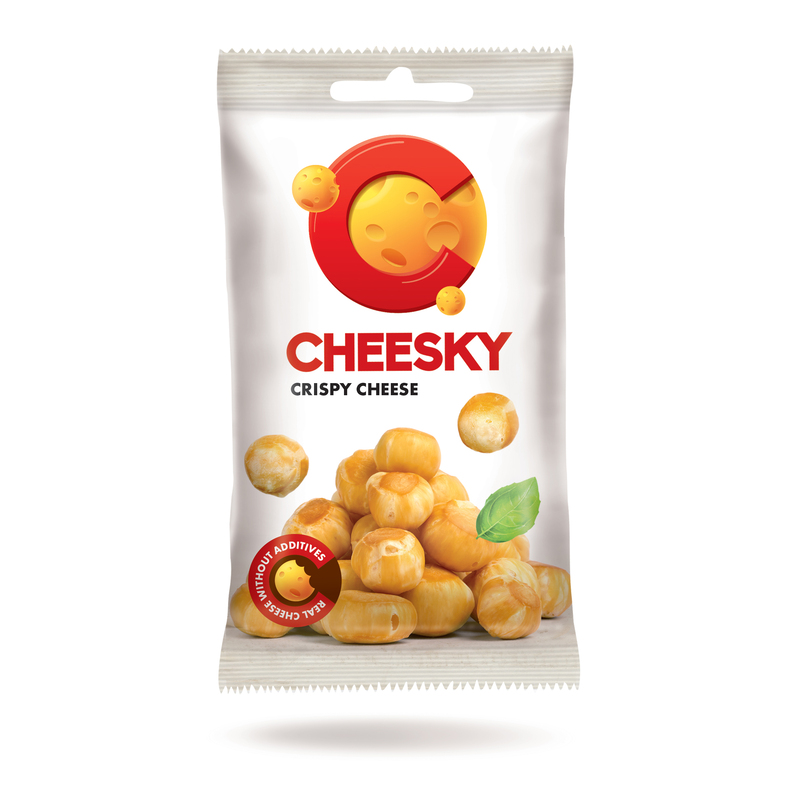 Creative concept and packaging design.